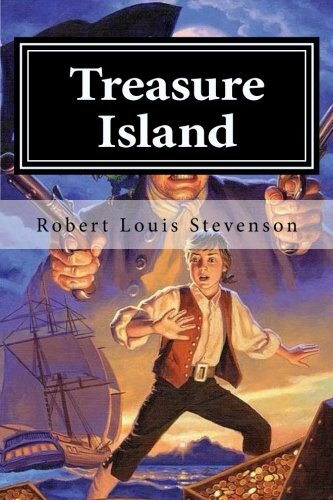 Amazon.com description: Product Description: Treasure Island is traditionally considered a coming-of-age story, and is noted for its atmosphere, characters, and action. It is also noted as a wry commentary on the ambiguity of moralityâas seen in Long John Silverâunusual for children's literature. It is one of the most frequently dramatized of all novels. Its influence is enormous on popular perceptions of pirates, including such elements as treasure maps marked with an "X", schooners, the Black Spot, tropical islands, and one-legged seamen bearing parrots on their shoulders.